First Exciting View the latest creation by the artist Anthony Cowland G.Av.A. 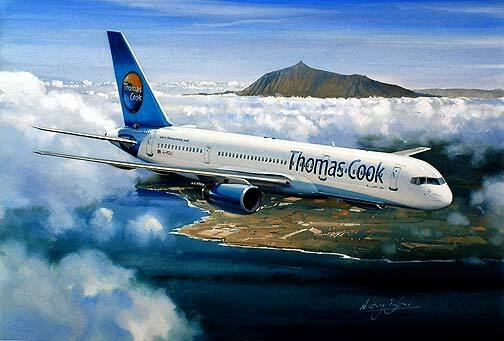 features a Thomas Cook Boeing 757 approaching Tenerife. A superb limited edition print of 250 from the original painting of the same name. Each is signed and numbered by the artist Anthony Cowland G.Av.A.